*For 2:30pm drawing, winners have until 5:00PM to claim their prize. Unclaimed prizes will be redrawn at 5:15PM, if marked in orange. *See Raffle page for details. * Note: Laura Birenbaum speaking time has move to start at 11:00, and Joe Yaiullo's to 1:00 as of March 12th. 2- 1-year digital only subscriptions. 2 Marineland Single Bright LED Lighting Systems 24"-36"
3 complete sets of our Reef Nutrition products in the 6 ounce bottles. * Items marked with a GREEN TEXT do not require the winner to be present at time of drawing but do require winners to pick up or make arrangements for a later pick-up. If arrangements are not made to pick up the winning item within 30 days, the BOD has the discretion to return the item to the vendor or re-raffle the item. You will have to be present to submit your raffle ticket into the drawing. * Items marked with an ORANGE TEXT require the winner to be present at the time of drawing or another winner will be selected. This item must be taken home at the end of the event. These Vendors are offering select presale items at a discounted rate for people attending the 4th Annual Reef Currents 2017 event. These items will only be available for pickup at the event. Oops what has MARSH done? Reef Currents has caught the attention of the media! Thursday ~9:15 am on KHOU-TV channel 11, Great Day Houston will feature an enthusiastic 5 minute segment about MARSH, the hobby, & Reef Currents. Then tonight at 11:30 pm is the deadline to make online ticket purchases. Do it now and save $10 on the Full Pass to hear the speakers and see the vendors for $35 HERE. After tonight, tickets are only available at the door - $45 for Full Passes or $18 for Vendor Hall Only. Don't regret missing this one! See you at Reef Currents 2017. Seahorses, cuttlefish, and corals: How does Laura Birenbaum culture these tropical critters for wholesale? We may have some ideas of how Laura is culturing the acro’s and other corals from the Long Island Aquarium, but seahorses and cuttlefish? Laura will discuss her fragging and growing techniques, but how does she breed and raise these other critters? Tips with these tricky critters will definitely help serious reefers with their own delicate animals. Reef Currents 2017 is the first time Jason Fox is speaking anywhere! Though for Jason, this prosperity means that they rapidly spread through the hobby and push his customers demand for even more new varieties of corals. Jason must continually head back to the wild, cultivate new relationships with licensed collectors, and search for new corals appropriate for the hobby. See Jason’s journeys traveling with local licensed collectors through coral reefs searching for new corals and learn some of his captive rearing “secrets". Check out the raffle page for the new high end items posted & for more great items to be announced soon. And sign-up for the newsletter to keep up to date. SEE YOU AT REEF CURRENTS 2017! How does Joe Yaiullo manage ‪a 17 year old, 20,000 gallon SPS tank (Long Island Aquarium)? The construction of this 30’ long aquarium started in 1999 with planning and design much earlier when SPS cultivation was not fully known. Yet after 17 years, a spectacular reef aquarium still thrives featuring a reef wall, crest, terrace, and back reef filled with many varieties of soft and stony corals, anemones, and about 800 fish, including various tangs, wrasses, gobies, and angelfish. How does Joe avoid the dreaded Old Tank Syndrome, so much he doesn’t believe in it! See his recommendations and those of many other famous reefers. His insights will definitely help any reefer with their tank set-up and maintenance. Check out the ReefCurrents.org page for another massive raffle page announcement coming soon! Another massive raffle page announcement coming soon! Have you been checking out the ReefCurrents.org page? Especially the raffle page (big announcement coming soon). Miss the Early-Bird sale? Okay procrastinators last chance at the Early-Bird rate. Get full access to the speakers, vendors, AND 25 raffle tickets for $45! See HERE. After 11:30 pm Monday, they go up. Vendor Hall Only passes are $15 and are on sale now. Why Full Pass? Don't miss out on the speakers. Info HERE. This is the first time Jason Fox is speaking anywhere!? How does he find and collect those vibrant and crazy colored corals (Jason Fox Signature Corals)? How does Joe Yaiullo manage a 16 year old, 20,000 gallon SPS tank? How? Seahorses, cuttlefish, and corals: How does Laura Birenbaum culture these tropical critters for wholesale in New York (ReefGen)? Today is the last day for Early-Bird Full Pass tickets. Get full access to the speakers and vendors for $25. See HERE. After 11:30 pm, they go up. This is about half the door cost! Vendor Hall Only passes are $15, but consider catching a speaker or three to find out what the excitement is. Speakers info HERE. Shopping at your LFS? Skip registration & pick up tickets at these sponsoring stores today: City Pets, or FJW Aquarium. Monday also ends your chance at $50 gift certificate & 50 raffle tickets. See the MARSH Scavenger Hunt details: HERE. Wow! A lot happening this weekend: The end of the Early Bird sale, the end of the Scavenger Hunt, and a free swag giveaway. This is it, the last weekend $25 Early Bird Passes can be purchased. See HERE. After 11:30 pm Monday, they go up. This is about half the door cost! Out shopping at your LFS? Skip registration and the show day lines, pick up tickets at these sponsoring stores: City Pets, FJW Aquarium, or Oceanlife Aquariums. Also at these stores this weekend, catch MARSH handing out free swag: scrapers and reusable bags. SEE YOU AT REEF CURRENTS 2017!!! Nationally famous vendors from across the country in Houston for one day! See the actual colors of rare corals you've only seen online. Also great steals and deals from vendors. Of course, they'll be free giveaways from MARSH & vendors like Rod's Foods. Check out ReefCurrents.org for show details! Early Bird full pass tickets are available until Feb 27th at 11:30pm for $25. This is nearly 1/2 off the door price! Get yours today HERE before you miss the deadline and while supplies last! Want $50 you have to spend on fish stuff and chance to win $1000's more? What's the catch? You have to visit 4 MARSH sponsor stores over the next 11 days - that includes 2 weekends. Plenty of time to participate. See the banner above for the basics and HERE for the details. The MARSH sponsor stores are City Pets, FJW, & Oceanlife Aquariums, Cinco Ranch Aquariums, Fish Gallery (Houston and Woodlands), Infinity Fish, and That Aquarium Place. Check out the ReefCurrents.org webpage for show details! Get yours today before you miss the deadline and while supplies last! The speaker line-up has been set! See their biographies and topics: HERE. 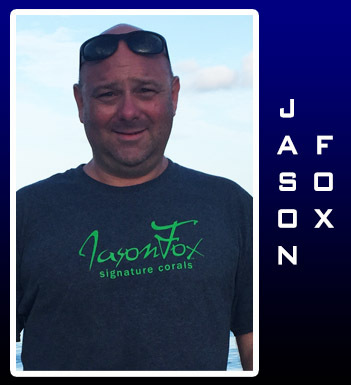 Jason Fox is the owner of Jason Fox Signature Corals. He collects vibrant, unusual, and robust corals throughout Indonesia and the Coral Triangle with his friends there. See him describe his collection adventures and learn some of his coral rearing secrets! Laura Birenbaum is a co-founder of ReefGen, a sustainable aquaculture whole-saler, cultivating beautiful varieties of corals, sharks, seahorses, and cuttlefishes. She'll share her knowledge of how she raises these tricky critters to thrive in captivity. Joe Yaiullo is the co-founder of the Long Island Aquarium which features a 16 year old, 20,000 gallon SPS REEF with about 800 types of fish. Hear him discuss the principles of diligent reef-keeping - insight into good tank management. You need that when your aquarium is 20,000 gallons and seen by hundreds, if not thousands, daily! Check out the ReefCurrents.org webpage for all the details! Kids under 12 are free! And the MARSH staff will have an area they can hang around, color, and have some fun of their own while you catch a talk or do some shopping. Also, the Sheraton has a nice bar, restaurant, cafe, and some seating areas for disinterested partners. Reef Currents is a show for all of our area reefers. Thank you for support over the previous years. This year, like last year, we are supporting the Coral Restoration Foundation. MARSH will pay a dollar for every ticket sold! Tickets available now online, or skip the lines and registration on show day and pick them up at City Pets, FJW, or Oceanlife. Hurry the Early-Bird sale ends Feb 27th at 11:30 pm. Buy one today before you miss the deadline and ticket prices go up. Pick up your Reef Currents full pass today for only $25! Get yours today while supplies last! Pick up your Reef Currents full pass today for only $25! Available at City Pets, FJW, or Oceanlife and skip the lines and registration on show day. Early Bird tickets are available until Feb 27th at 11:30pm. Get yours today while supplies last! Jason Fox will be at Reef Currents! Ever heard of Jason Fox? Steve Tyree? They are both coming and selling a stash of their world famous corals, named after them! Scroll through our vendor list. What's even better? For the first time ever, anywhere, Jason Fox will talk about his collecting experiences. How many SPS secrets will he divulge? Come and find out! We are less than 90 DAYS AWAY from Houston’s Fourth annual Reef Keeping trade show and educational conference REEF CURRENTS 2017. In cooperation with The Coral Farmers Market (sm), MARSH will be hosting three speakers and many coral vendors from all around the country for one day of education and shopping. This is a great opportunity for reefers to hear some awesome speakers and to visit with national coral and dry goods vendors. This year the event takes place on April 1st, 2017. Tickets are on sale now! Early Bird tickets are available at reefcurrents.org and are also available at these select sponsor stores for a limited time: City Pets, FJW and Oceanlife. Already this year MARSH has signed on some great sponsors as well as some super raffle items. Follow our raffle page to see the latest raffle items and updates. 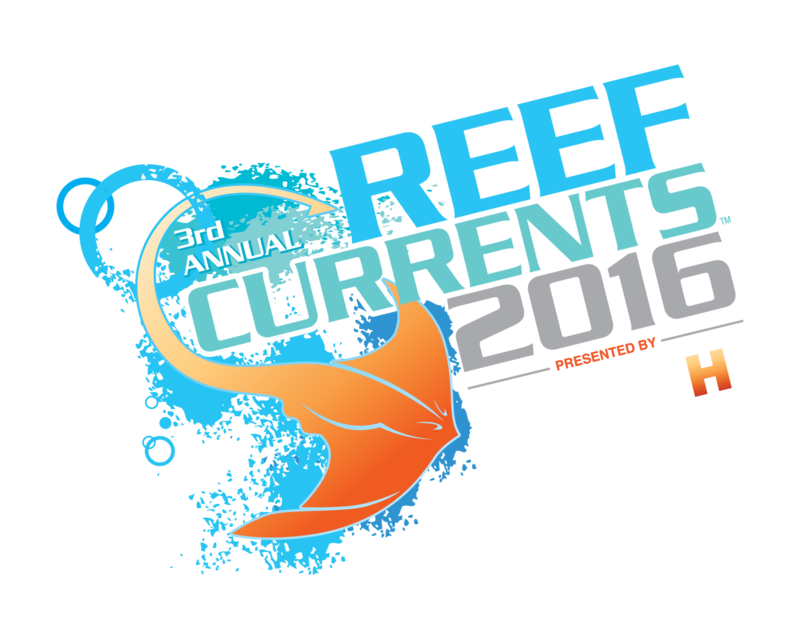 This 2017 Reef Currents event is the fourth annual run by MARSH. We are accepting applications for vendor booths and show sponsors. This is scheduled to be the best Reef Currents event to date! The show will also be one of the largest displays of the absolute best, exotic, captive grown corals available to the Houston reefing community. We expect hundreds to attend. Reef Currents is a must see for all reefers, get your tickets today! I have been into aquariums and the ocean since the 70's as a kid. Then in the 80's and 90's, I started keeping multiple freshwater and marine tanks. See Jason’s journeys traveling with local licensed collectors through coral reefs searching for new corals and learn some of his captive rearing “secrets. Laura has been devoted to her career in the reef aquarium industry for over 13 years and has been a fish keeper for most of her life. How does Laura Birenbaum culture these tropical critters for wholesale? As a kid, Joe Yaiullo spent much of his childhood maintaining home aquariums and exploring the marine life surrounding Long Island, New York. Now he gets paid to basically do what he did as a kid and has been keeping reef tanks for over 28 years. How does Joe Yaiullo manage ‪a 17 year old, 20,000 gallon SPS tank?